A mostly happy upbeat French album (complete with acordian), though there are a few more serious or somber tracks, like “Comptine d’un autre été, l’après-midi”, and “Le moulin”. 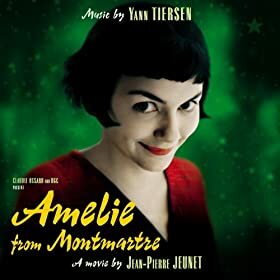 Some have a very elegant sound, such as “La valse d’Amélie (Version orchestre)”, which remind me of large ballroom, like Eastern Promises but on a much less foreboding side. Also reminds me a little of Waking Life, though without the surrealism. Obviously this isn’t typical medieval gaming music, but is for a certain type of campaign. the music is just great so its worth checking out!